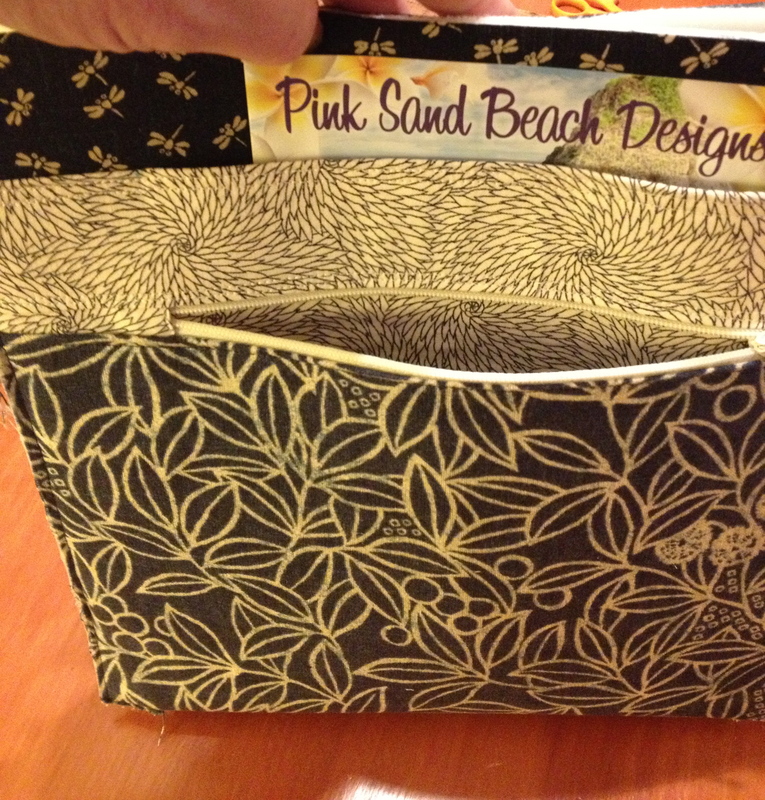 The finished size is approximately 10″ wide by 11″ tall which makes it a pretty good size for an everyday bag. I’ve had the pattern for awhile but was a bit overwhelmed after looking at the directions and hadn’t taken the plunge to give it a try. Thankfully while shopping last week with a friend, she saw the bag made up, liked it, and we decided to try it together. The woman in the shop gave us great advice – trust the directions and follow them step by step without double guessing or looking ahead. 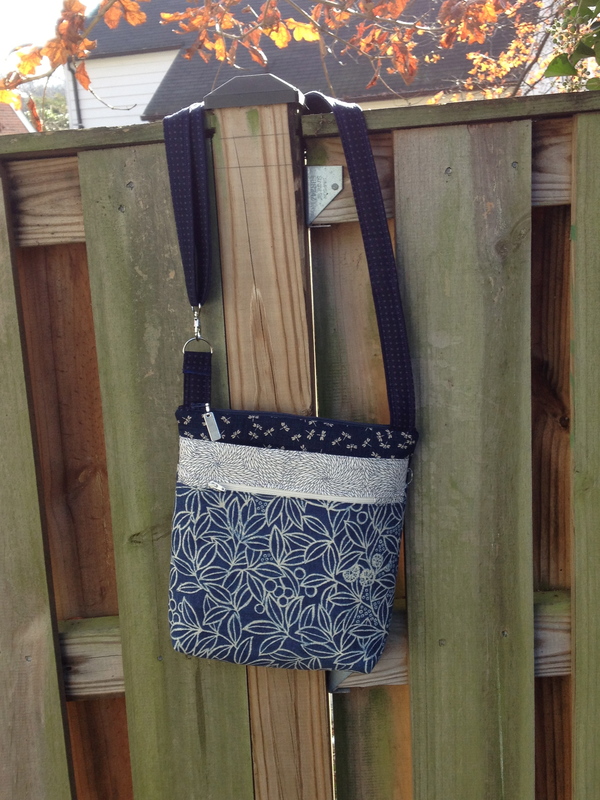 The outside front has a zippered pocket and a non-zippered pocket. Following this advice did work and the bag does go together very nicely! The only thing that we didn’t think was crystal clear, was where each piece of fabric we cut would end up in the final bag. So let me spell this out for you if you are considering sewing this bag. The “Bag Front and Back” end up being that dark blue fabric on the top of my bag. It does not show on the outside very much but does form the body of the bag. 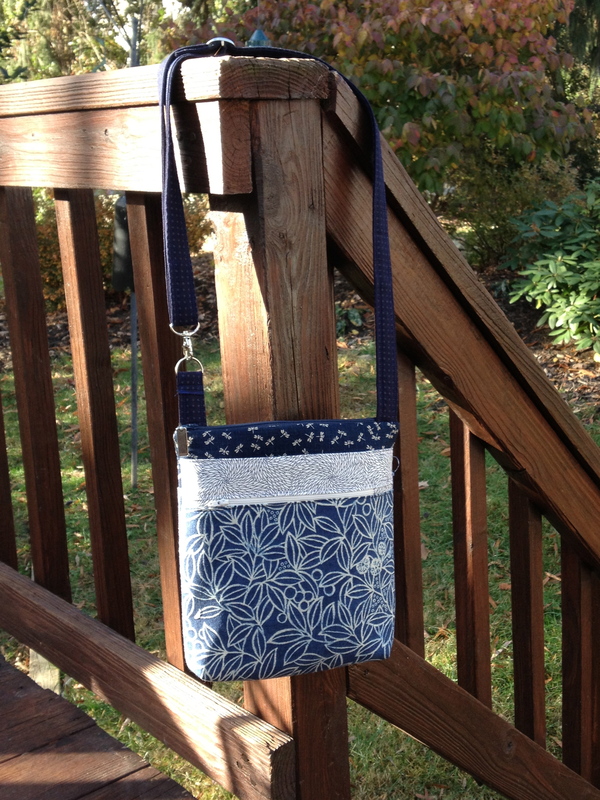 The “Front Pocket” and “Back Pocket” are the blue floral fabric that is the dominant fabric of my bag. 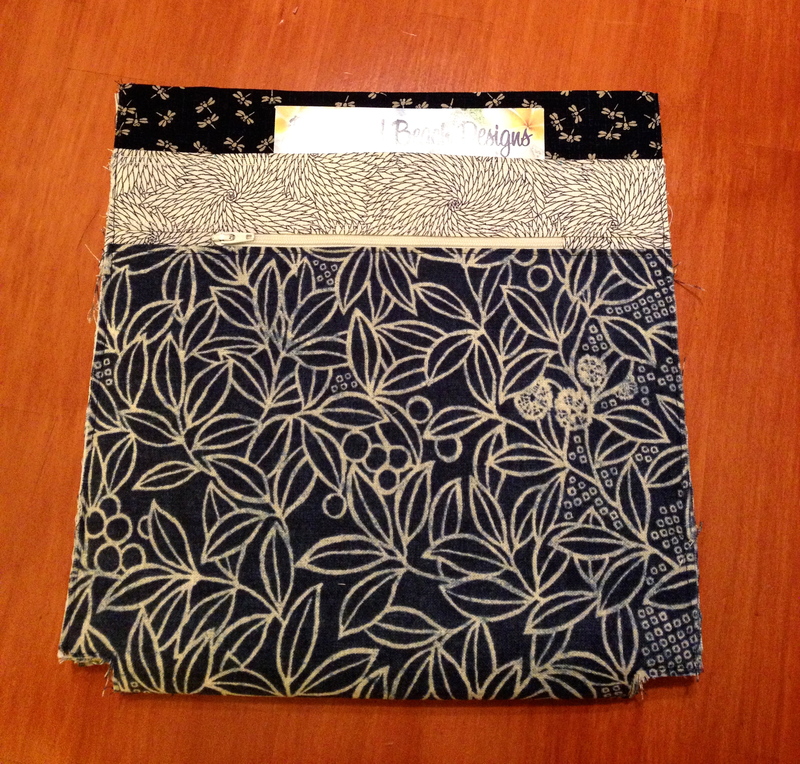 Finally, the “Pocket Accent” is the lighter fabric in the middle of the other two fabrics only on the front. The outside back has a divided pocket. The inside of the bag has a divided pocket on one side. The directions were to divide it in two but I decided to add a couple places for pens also. I should have dropped the pocket a bit lower in the bag than the directions called for since the pens are so close to the top of the bag, they almost don’t fit under the zippered top. The directions tell you how to shorten and make tabs for each end of the two zippers which gives an extremely professional looking finish. 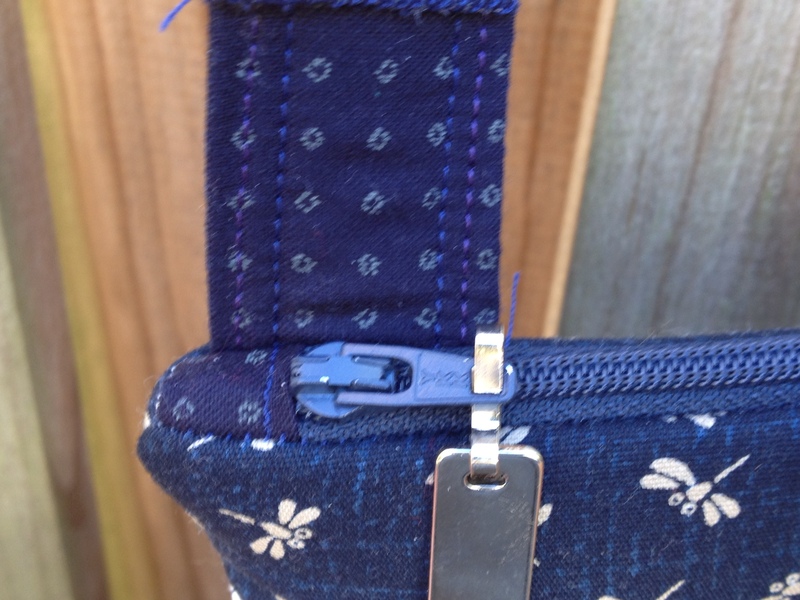 It also removes any metal parts that your needle might hit during the sewing and removes the bulk of the zipper from any seams. These are all “win” situations for dealing with zippers! I will use them again in other projects. As far as I’m concerned, a zipper at the top of a bag doesn’t get any better than this! 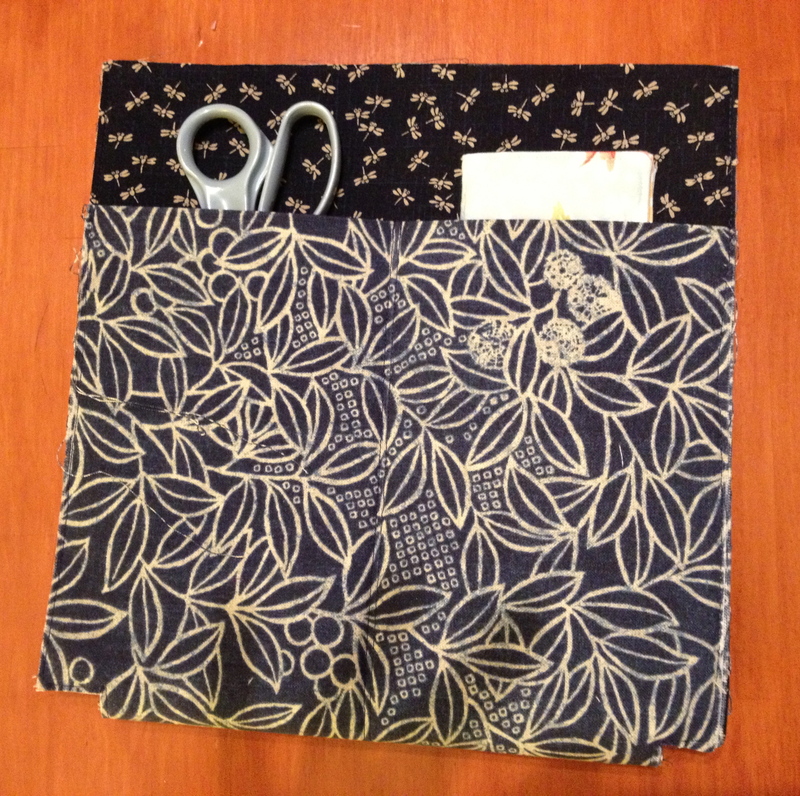 I used by Annie Soft and Stable instead of fusible fleece for the front and back of the bag and a heavy weight interfacing I had on hand in the places that called for Decorbond. Typically I like a stiffer bag that doesn’t show every lump and bump of what is inside of it. 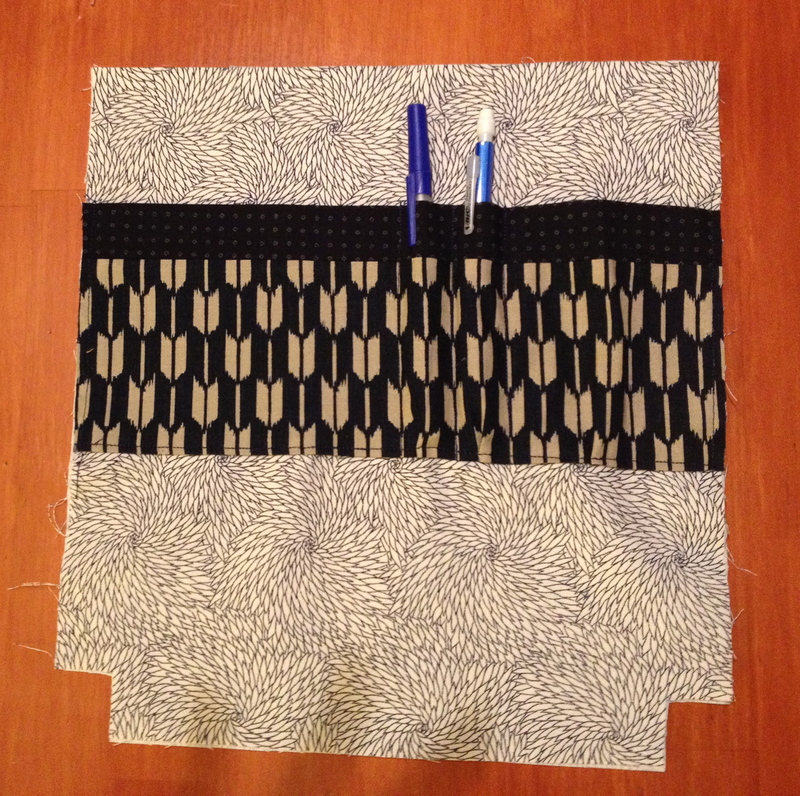 If you like a softer bag, you should use the fusible fleece. I Finally Have Time · . 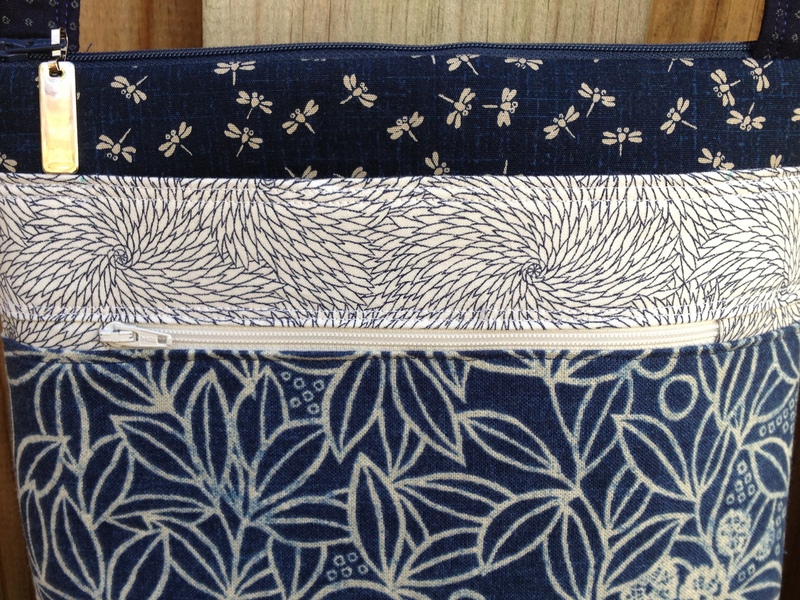 . . to sew, to quilt, to create!